Anxiety is a real problem in our world today. All of us experience anxiety, or worry, at some point in our lives. The use of the term in Matthew 6 is a combination of two terms that means, quite literally, divided mind. To be fair, who really has the cure for anxiety? Or a divided mind? The verses preceding this one is a systematic detailing of just what God accomplishes for birds in the air and lilies in the fields. Jesus explains that God will take care of our clothes and our food whether we believe it or not, just like the lilies and the birds. Therefore, we might as well believe. And, to be sure, when we concern ourselves with riches we divide our loyalty from the Father. It seems silly to be concerned about clothes and food in this day and age. At least, here in America. We have closets full of clothes and pantries full of food. Some, however, do not. We have to be cautious not to fall to the god of self sufficiency. The Kingdom of God is the reality of God’s presence in our lives and our allegiance to that presence. I know enough to know that pain will distract us. It has me. Physical pain and emotional pain. As his mind was racing with ideas a thought came to him. He added that this is a not a good idea for a winter driving manual. Nevertheless, he engaged in the most Kingdom of God like activity he could think of and navigated the slippery situation. He added that he arrived to his destination remarkably stress free. The best thing we can do, as Jesus tells us, when our minds are divided, full of anxiety, is to seek the presence of God, in all of its glory and live within its shelter. I believe it is best accomplished in prayer. 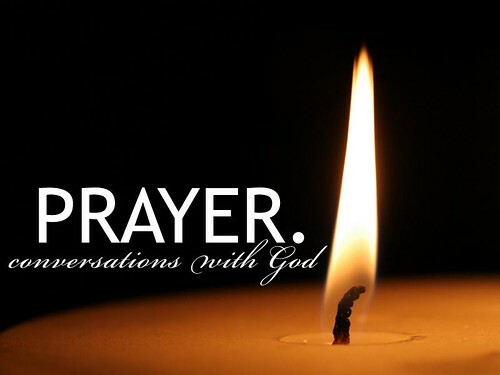 Prayer is embracing the presence of God. It’s a two way street as all communication is.